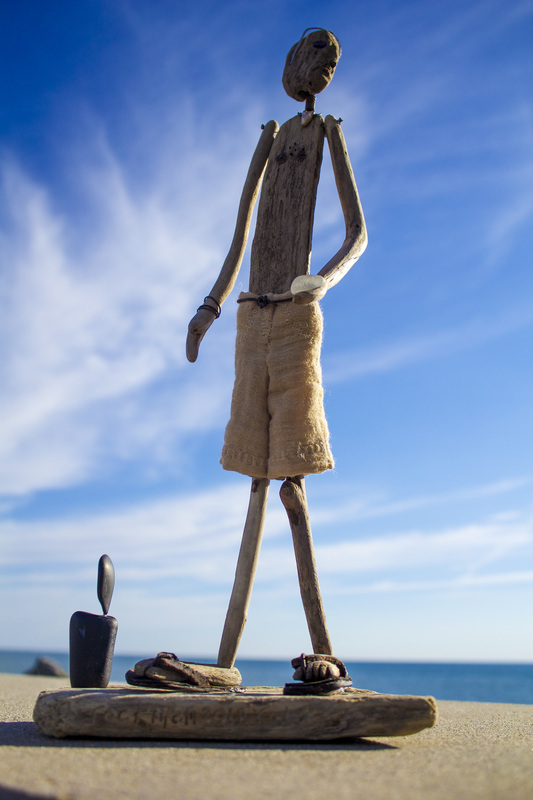 Made from beach combed treasures, leather flips, hand dyed/sewn shorts, knobbly knees, hairy chest, sea glass eyes, tin can shades, carved base (rockman 2012) and balanced stones, heart necklace and tattoo. 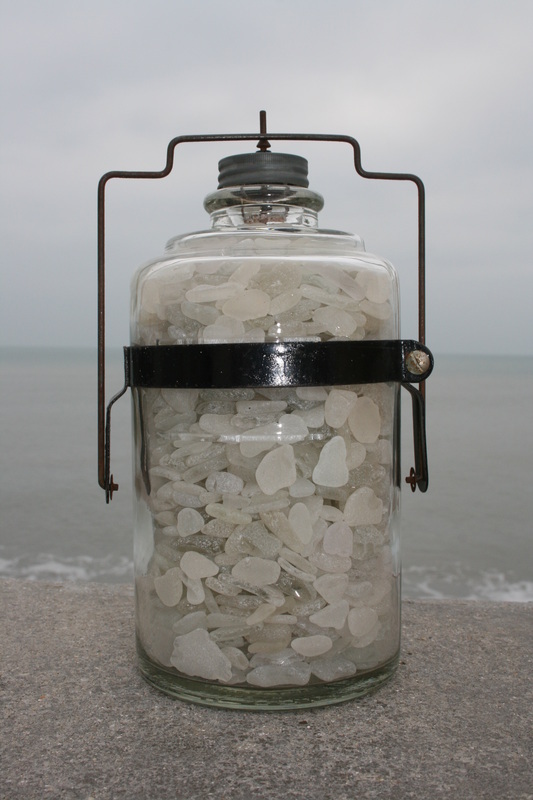 Prices from £300 on a commission basis. 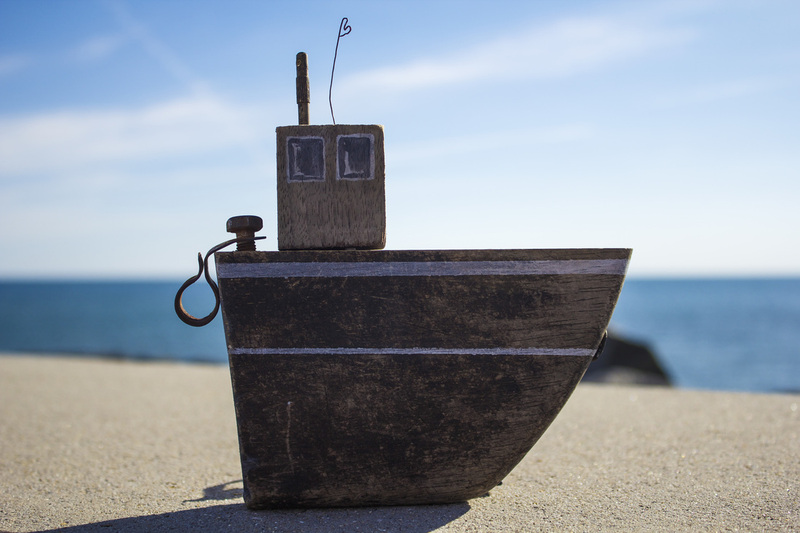 The joy of creating something unique from found objects has always been a thrill. The challenge is to find everything I need from the tide line. Its time consuming but hugely satisfying. and the ultimate in upcycling. I am happy to make commissions of someone special to you. I will need a full-length photo and a list of any distinguishing features, hobbies, likes, anything particular to the person. The more detail you provide me with, the more recognizable the figure will be. 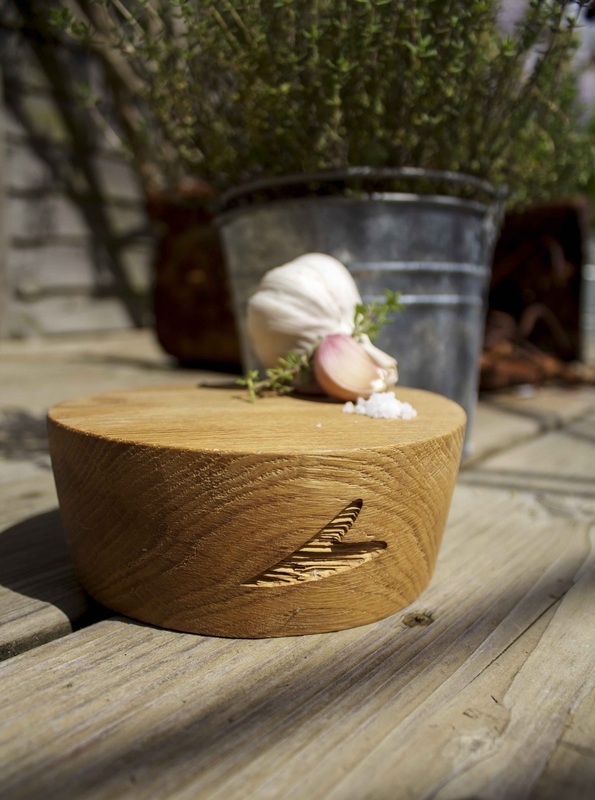 I can also carve a title or message on the base with the date. Postcard print of a water colour hyena by elle age 7. 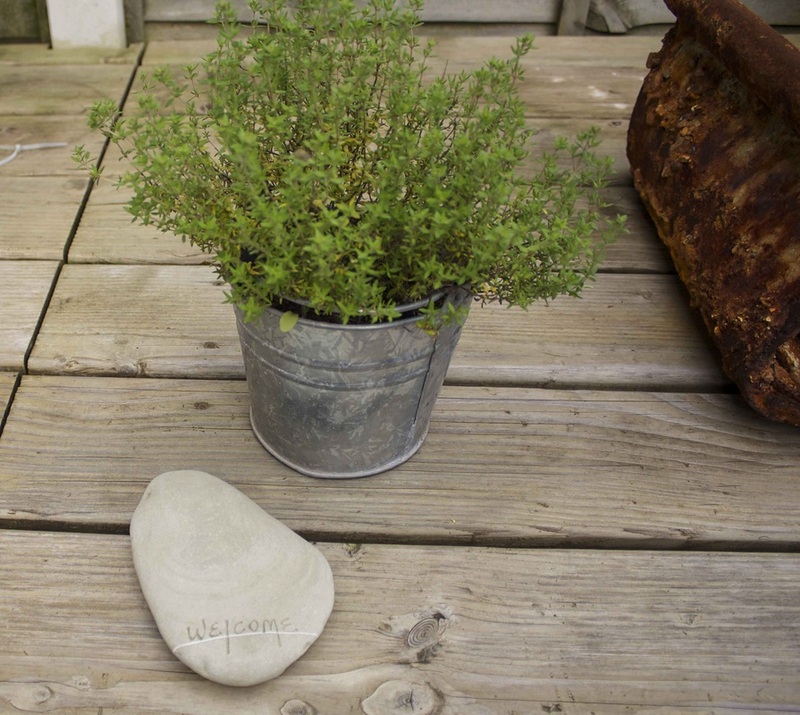 Beautiful grey veined stone with inset, hand crafted metal heart to lift by. 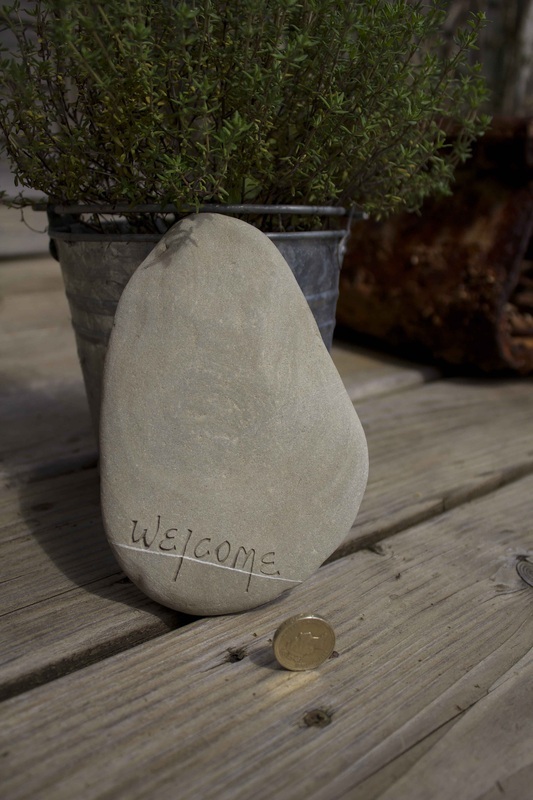 Hand written, etched welcome stone, with a lovely white circle. Feel free to contact me if you would like a personalised message. 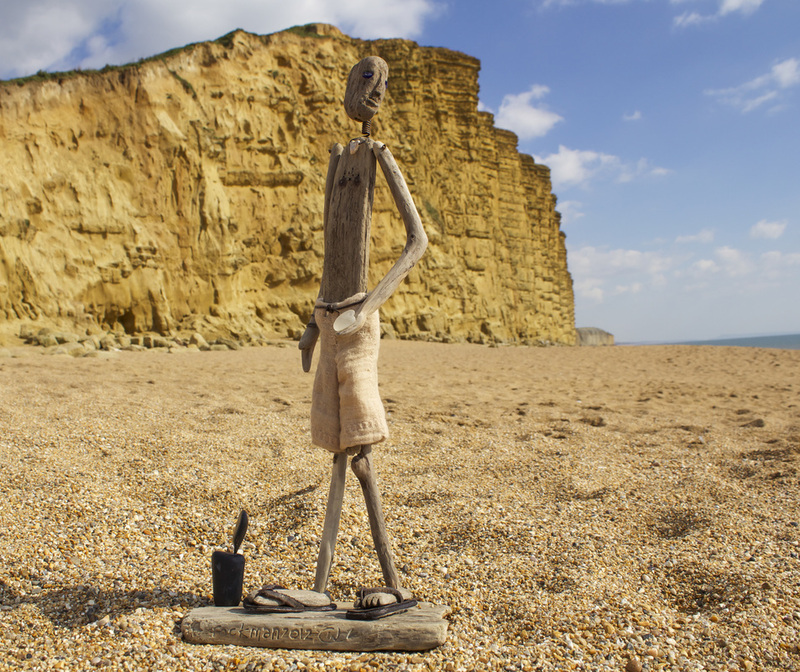 Crafted from beachcombed Dorset driftwood and rusty treasures. Hand Painted. 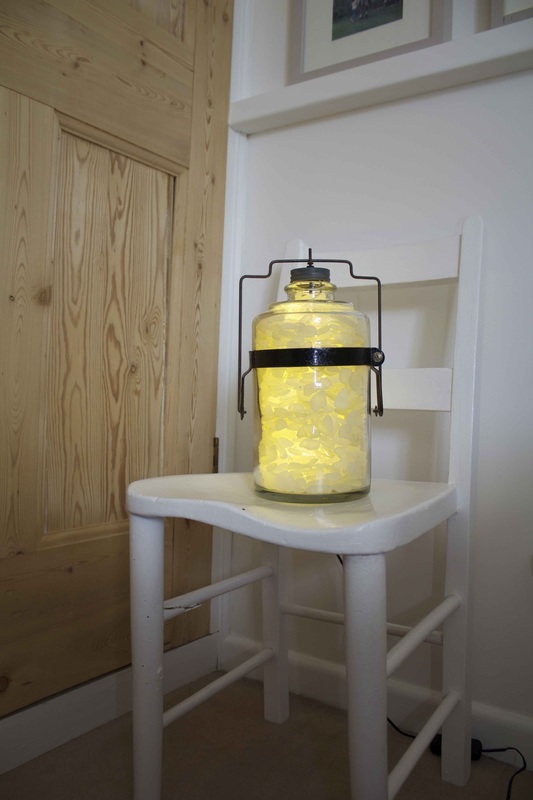 Vintage one off paraffin jar lamp. 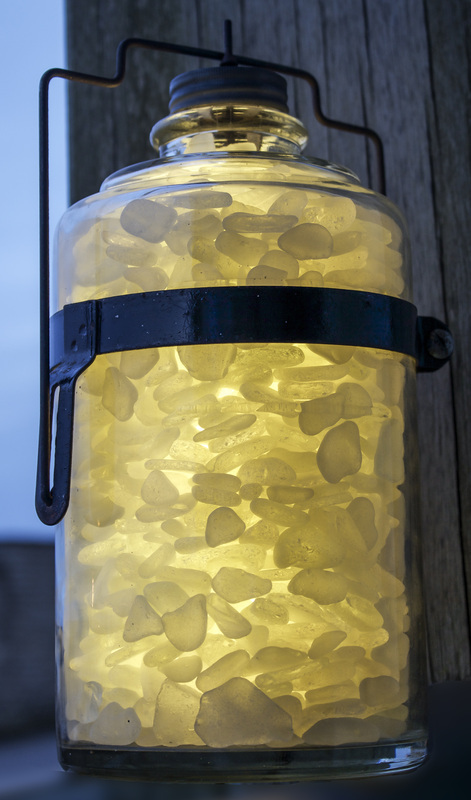 Crammed with over 4kg of hand gathered frosted white sea glass emitting a warm glow. Complete with original metal handle and lid with age appropriate patina. Unfortunately the light has come out quite yellow in the photo but it is not in the flesh ! Hidden warm white LED lights working off a transformer with inline switch. A truly stunning unique piece. Shades of green beach combed plastic wreath, found on the Dorset coast. Pretty pink, red, yellow and orange beach combed plastic wreath. 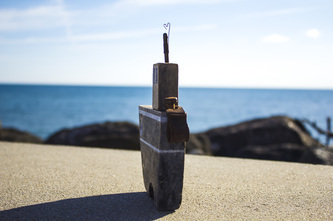 3 small houses crafted from fallen Dorset wood, small but perfectly formed. Bark roofs and raised windows. 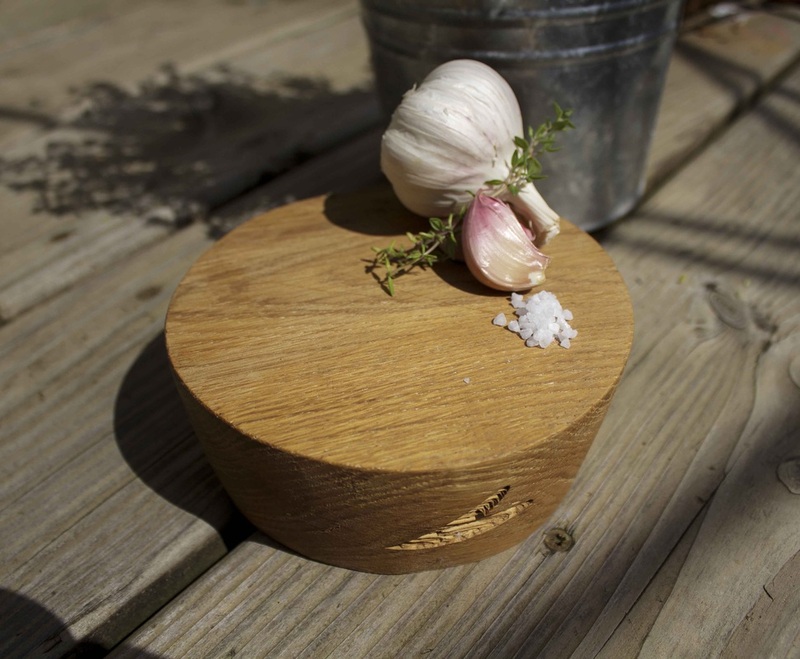 3 small houses crafted form fallen Dorset wood, not as small but still perfectly formed. Again with bark roofs and raised windows. 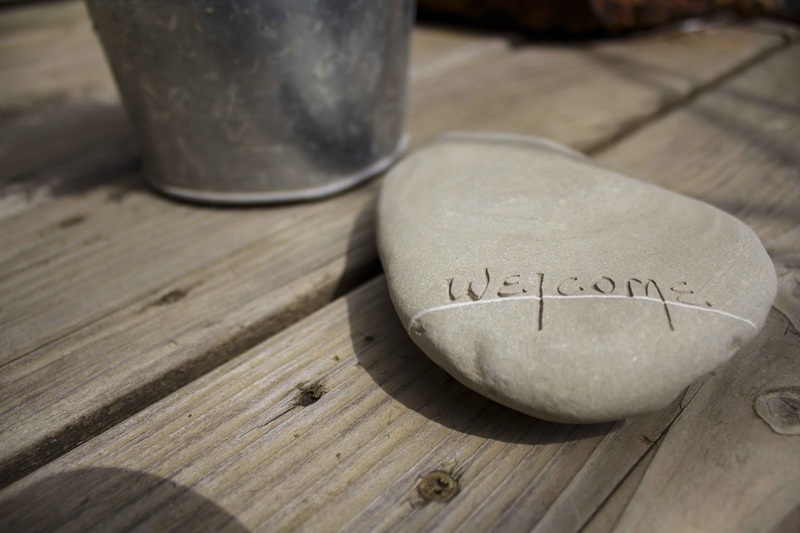 A flat stone with natural white line and hand etched with the word "welcome". 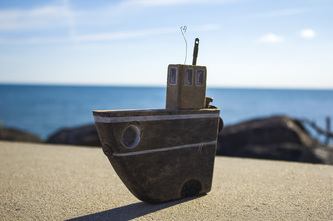 size : 10cm x 17cm. One off design.